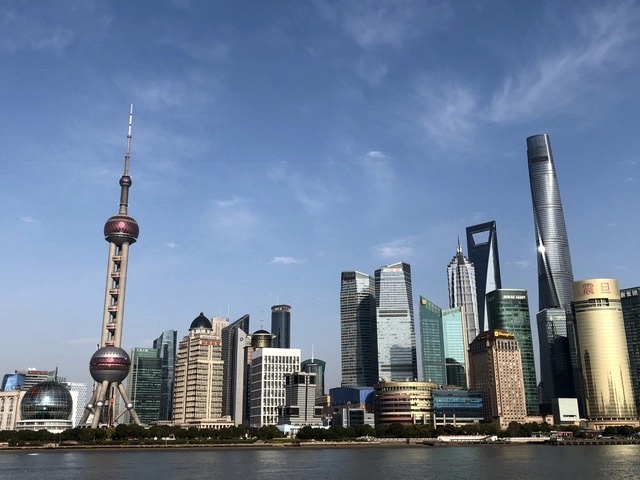 Buildings arise on both sides of the Huangpu River, and we are on the eastside opposite the Bund, known as the Pudong district. 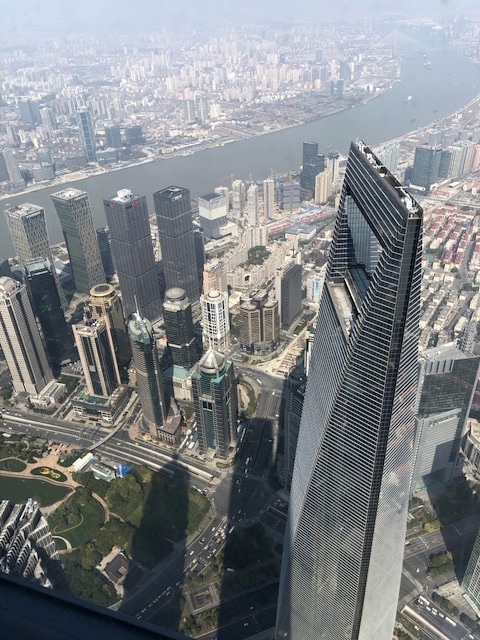 This financial district has a most impressive skyline that includes the world’s highest observation deck located in the Shanghai World Financial Center. 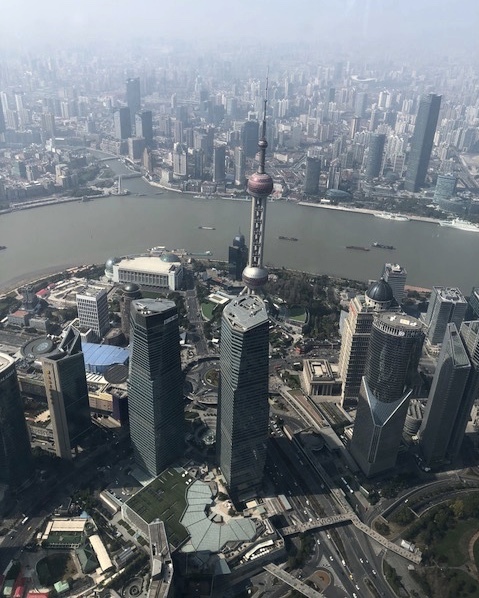 In two of these photos one can see the Oriental Pearl Tower, which is also a TV tower and was at one time the tallest structure in China, until Financial Center was built in 2007. The view from those buildings look spectacular ! I remember my first trip to Shanghai, I was up at 4:45 a.m. and all I could do was stare out the windows at the gorgeous scene of the sunrise; a winding river, and buildings materializng in the daylight. Unbelievable pics. Absolutely breathtaking. Keep up the great work with your blog. No matter where you are located; at ground level or high in the sky, the city unfolds in the most amazing way. And, I love that Shanghai is considered the Paris of the East! These photos are mesmerizing……what a magnificent skyline and city.